PG&E said it has lined up $5.5 billion in credit and loans to continue operating as it prepares for the bankruptcy. PG&E secured debtor-in-possession financing in the form of credit and loans from several banks. Proposals by a U.S. judge to prevent Pacific Gas & Electric Co. equipment from causing any more wildfires would create safety risks, cost too much money and interfere with the work of federal and state regulators, the utility said Wednesday. PG&E said in a court filing that it's committed to system upgrades and wildfire mitigation, but it contends that a criminal case being handled by U.S. District Judge William Alsup is not the right forum to address such measures. Earlier this month, Alsup proposed ordering PG&E to remove or trim all trees that could fall onto its power lines and to cut off power during certain wind conditions. He is also considering whether to order the utility to reinspect its entire electric grid. PG&E is facing hundreds of lawsuits from wildfire victims over catastrophic California wildfires in the past two years that killed scores of people and destroyed thousands of homes. The utility announced on Jan. 14 that it will file for bankruptcy protection in the face of at least $30 billion in potential liability claims from the suits. The proposals would require the utility to remove an estimated 100 million trees, causing significant environmental consequences, it said. In addition, the measures would interfere with the "role of state and federal regulators without fully accounting for the risks that some of those actions may create" or assessing whether those costs are necessary, PG&E said. The court filing adds that shutting down power affects first responders, critical medical care and essential services such as water delivery. Alsup is overseeing a jury verdict against PG&E involving the deadly explosion of a company gas pipeline in 2010. 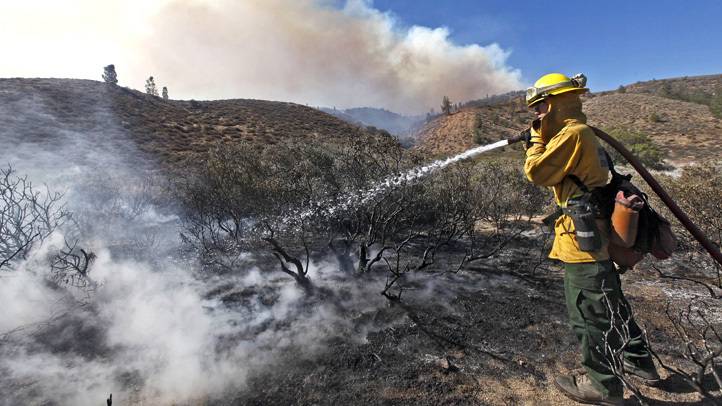 The judge is eyeing the wildfire requirements as part of PG&E's probation in the criminal case.